Whenever David and I travel, one things we love to do, possibly above all others, is meeting locals. We want to hear their stories, learn about their country from their perspective and get insider tips and recommendations that you won't find in the latest lonely planet. Meeting locals enables us to have a better understanding of the country we are in and enriches our experience. 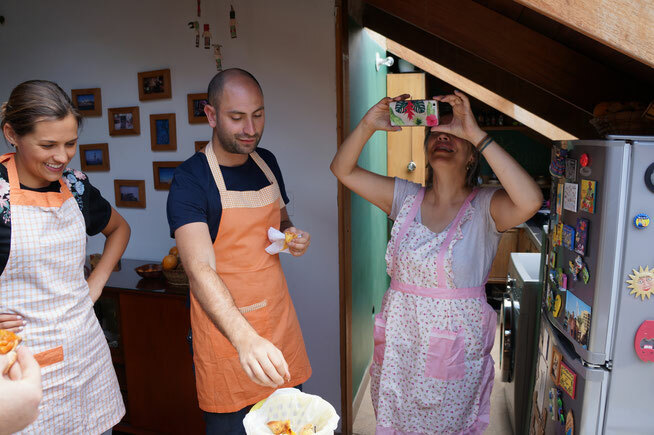 This is why when we were in Bogota we took a cooking class with 5 Bogota, a company which pairs up travellers and locals for a cooking lesson in a locals home. 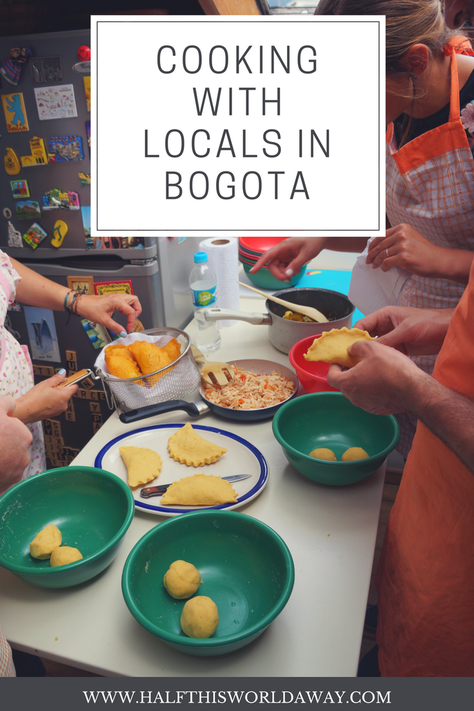 Not only do you learn to cook some tasty, local dishes but you also get to know your host and learn about Colombia from someone who lives there. what do you do on the tour? 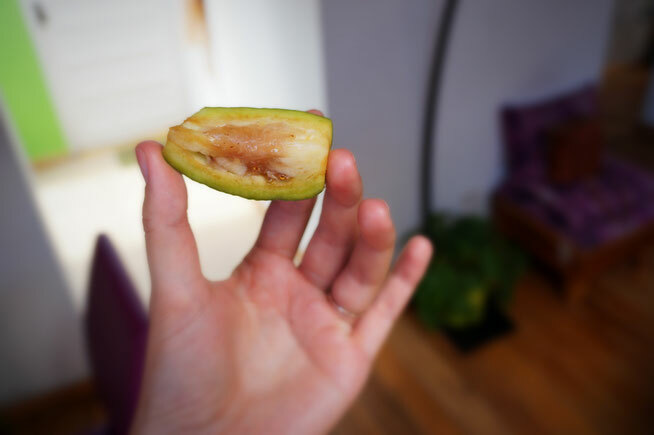 We tried a Colombian treat of sweet guava topped with cheese! We made empanadas - chicken and potato versions! Our cooking class lasted 3 hours and our host was the lovely Diana. Diana absolutely made the tour for us, she was hilarious, honest and knew her stuff when it came to Colombian food. 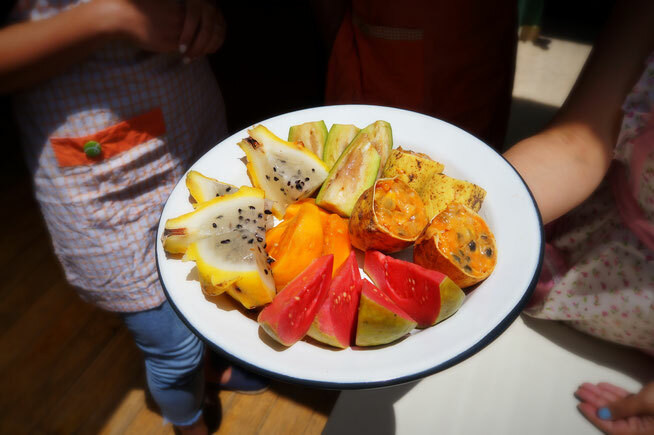 Firstly, we tried some delicious Colombian fruit - some of these were so exotic we had never heard of them or seen them before. It was really interesting being able to try things that 5 minutes previously we didn't even know existed! 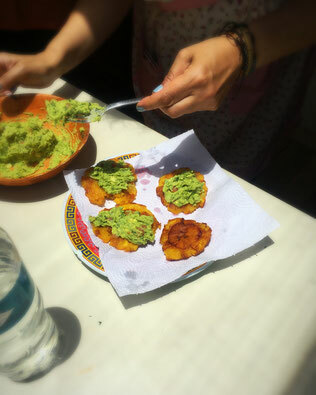 Then it was time to make guacamole and patacones! For those of you who haven't yet been to Colombia then patacones are crushed and fried plantains that can Be found all over the country - they are a staple of Colombian cuisine. As there were 4 of us in the cooking class, we each had a different task; from chopping the onions to mashing the avocados. Eventually, everything came together and we were able to enjoy warm patacones with our fresh and flavourful guacamole on top! 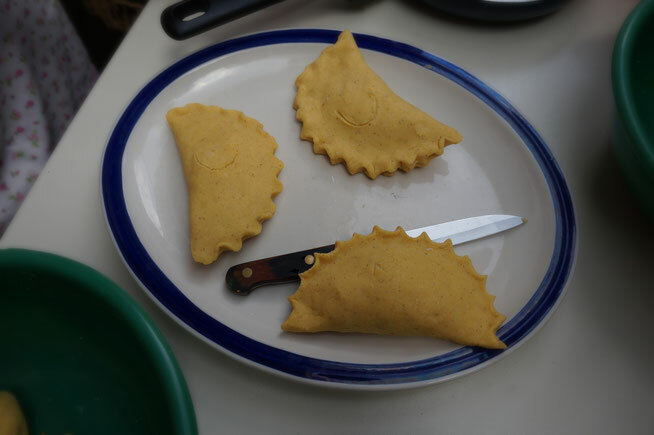 Next, it was time to make empanadas! Colombian empanadas are a little different from oneS you get in other regions of South America in that they are fried as opposed to baked. Making the dough is a lengthy process which involves kneading for at least 20 minutes. Once the dough is ready then its split up into balls and flattened into pancakes, then the filling is added. We made two different types of empanadas; chicken and potato and even a special one which combined the two! Diana fried these for us and we ate them straight away; freshly fried empanadas are a game changer! So often you buy them from street vendors and they have been freshly made that morning but sit in a cabinet for several hours; eating them as soon as they are out the frier is amazing! We added some of our guacamole to these aS well with a squeeze of fresh lime. This was enjoyed with some fresh lulo juice which was also homemade! 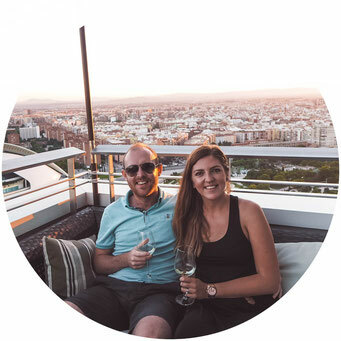 Learning about Colombian cuisine and getting a chance to make some of our very own Colombian food was a really fun experience, however for us, the absolute highlight was just being able to speak with Diana. We all know about Colombia's turbulent history; however, hearing experiences from someone who lived through it is another thing entirely. Diana let us ask questions and answered them honestly. She was fiercely passionate about Colombia, its past, its politics and what she felt the future of Colombia was. Being with a local, in their own home and being able to ask all the questions that were on our mind and learn more about the country we had been travelling in for the last 2 months was a priceless experience. 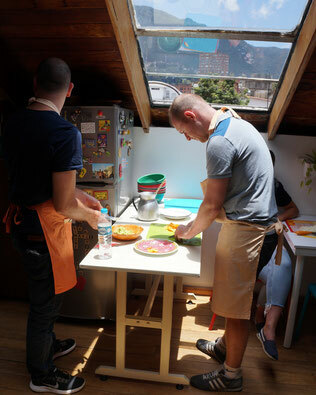 We would highly recommend doing a cooking class with 5 Bogota the next time you are in the capital! 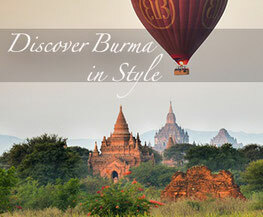 To check for availability and pricing then click here. Half This World Away received this cooking class on a complimentary basis, however, all opinions as always, remain our own.